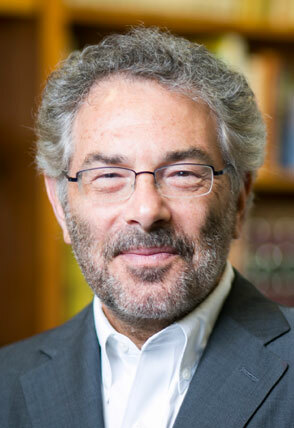 Rabbi Jeffrey A. Summit, Ph.D. holds an appointment as Research Professor in the Department of Music and Judaic Studies at Tufts University. He is a Senior Consultant for Hillel International directing the project “Living Our Values.” He holds emeritus appointments at Tufts as Emeritus Neubauer Executive Director of Tufts Hillel and Emeritus Jewish Chaplain. He is the author of Singing God's Words: The Performance of Biblical Chant in Contemporary Judaism (Oxford University Press) and The Lord's Song in a Strange Land: Music and Identity in Contemporary Jewish Worship (Oxford University Press). His CD Abayudaya: Music from the Jewish People of Uganda (Smithsonian Folkways Recordings) was nominated for a GRAMMY award. His CD with video Delicious Peace: Coffee, Music and Interfaith Harmony in Uganda (Smithsonian Folkways Recordings) was awarded Best World Music CD by the Independent Music Awards. His research and writing focus on music and identity, music and spiritual experience, music and advocacy, and the impact of technology on the transmission of tradition. Rabbi Summit lectures widely around the country and has been invited to speak at Harvard University, Stanford University, Yale University, Princeton University, Dartmouth College, Amherst College, Wesleyan University, the University of California Santa Barbara, Indiana University and the University of Chicago. Rabbi Summit has a special interest in the values that shape a meaningful and fulfilling life. Together with Rev. Scotty McLennan of Stanford University, he teaches a summer seminar addressing those issues at the Tufts European Center in Talloires, France entitled “What Happens Next?” He also works in the field of oral history and for four summers has conducted an oral history project with the Jewish community of Annecy, France, for American students, under the auspices of Tufts European Center. For three additional summers he taught a seminar at the Tufts European Center on the Holocaust and anti-Semitism in France. He has co-directed a project funded by the Department of Homeland Security establishing Muslim, Jewish, Christian dialogues and inter-religious education on five university campuses. He directs the Cummings/Hillel Program on Holocaust and Genocide Education under the auspices of Tufts Hillel. An accomplished musician, he has performed Jewish and traditional American music throughout the United States, as well as in England and Israel. During the Yom Kippur War, he performed for Israeli soldiers in the Sinai and Golan Heights. His songs examining those experiences were recorded on his record album Shepherd of the Highways. Rabbi Summit was awarded Tufts University’s Hosea Ballou Medal, established to recognize members of the Tufts community who have rendered exceptional service for the institution. He was the inaugural recipient of the Edgar M. Bronfman Award for Lifetime Accomplishment in Hillel Professional Leadership, serving the movement "with distinction and honor." He received Combined Jewish Philanthropies (Boston Jewish Federation) Rabbinic Leadership Award and was the inaugural recipient of the Anne Heyman Spirit Award, for work to further the mission of the Agahozo-Shalom Youth Village in Rwanda, a village for survivors of the Rwandan genocide. As part of this honor, the village's music building was named the "Jeffrey A. Summit Music Center." He has been named an Exemplar of Excellence by Hillel International. He has also received the Benjamin J. Shevach Memorial Award for distinguished achievement in Jewish educational leadership, Hebrew College's highest academic award. The programs he has initiated at Tufts examining ethical perspectives on the role of the university, sexual ethics, interfaith dialogue and the parent/child relationship have received national grants and awards. As a graduate student, he received both the James T. Koetting Memorial Prize for the outstanding graduate student paper presented at the annual meeting of the Northeast Chapter of the Society of Ethnomusicology and the Society for Ethnomusicology's Jaap Kunst Prize for the outstanding paper published by a student in the Journal of Ethnomusicology. His book on Jewish music and identity was awarded the Musher Publication Prize by the National Foundation for Jewish Culture. Rabbi Summit is past-president of the National Hillel Professional Association and has served on the Executive Committee of the National Board of Directors of Hillel: The Foundation for Jewish Campus Life.